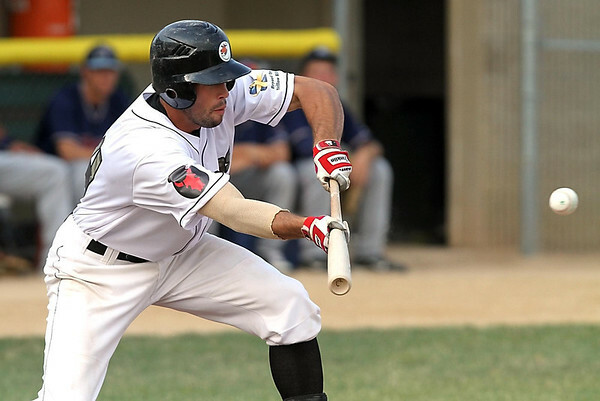 Mankato MoonDogs' Chad Christensen lays down a bunt during the second inning of their game against the St. Cloud Rox Saturday at Franklin Rogers Park. Two runs scored on the bunt after a throwing error to first base.